“Gravel Road,” a solo exhibition by the Springs artist George Negroponte, is on view at the Anita Rogers Gallery in SoHo through Nov. 30. 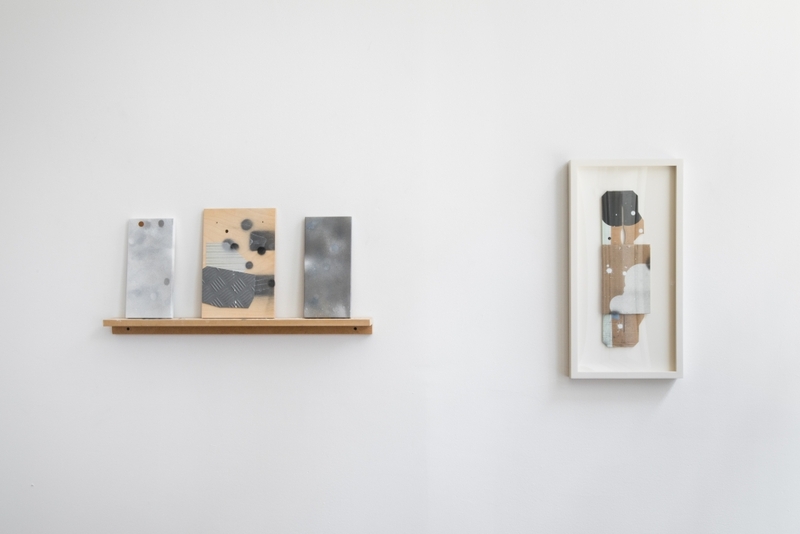 Mr. Negroponte’s recent work uses pre-mixed hardware store paint and pieces of discarded cardboard that are stacked, superimposed — “just like laying bricks right on top of each other,” according to the artist — and affixed to the wall with pushpins. Since 1980, Mr. Negroponte has had 18 solo shows at galleries in New York City and abroad. His work has been included in numerous museum shows, among them the Museum of Modern Art and the Metropolitan Museum of Art.